Prof. Dr. Neumann works as both lawyer and former Notary with a varied practice, in particular in those of Real Estate Law, Commercial Law, Tax and Company Law. 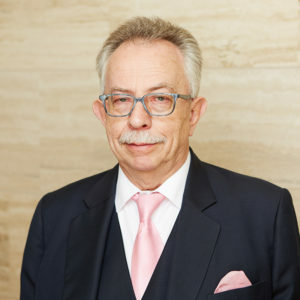 He also gives seminars and professional development courses in particular on various fields in the area of “Real Estate and Tax” and has written various published books and lectures and is compiler and co-editor of the standard commentary on the Constitution of Berlin (Pfennig/Neumann, 3rd edn. 2000).